Part of the modern Kämp Gallery, Restaurant Strindberg is located alongside and offers a fascinating view of the beautiful and historic Esplanade Park. 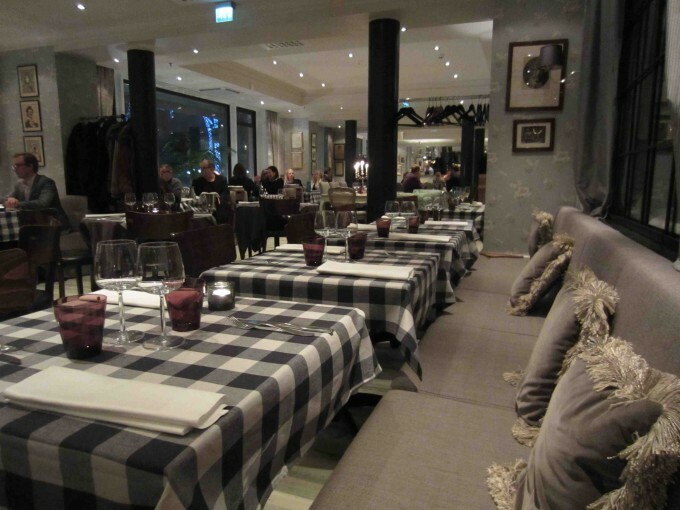 At street level, in the heart of Strindberg is internationally fashioned café where many delicacies are prepared. Just sit down and wait to be served, there is table service available. Mari cafe was opened at the same time after restaurant complex moved 50 meters from its original location. On the second floor is Strindberg à la carte, where we had dinner, a restaurant which combines the ever-popular Nordic home cooking -“husmanskost”- with contemporary international flavours. The atmosphere at this high quality restaurant is urban, but at the same time pleasantly peaceful. From the Caesar’s salad to the crispy, yet juicy Rydberg steak, and from fresh domestic fish to the dish of the day – there is always plenty to choose from at Strindberg. Remember to ask for window table when making reservation! The spacious Library bar, with its soft couches, has become a popular rendez-vous spot for many. Worth a visit! 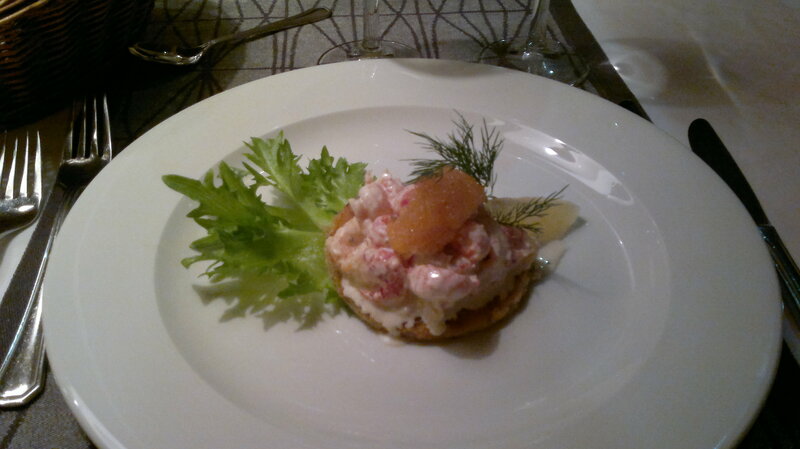 Kitchen had added sun-dried tomatoes in goat cheese starter and lavaret which we asked to serve without milk products. As tomatoes were quite bitter we would rather had seen portions without them. On the other hand Strindberg can really take into consideration possible food allergies. One example of that is suprise dessert from the kitchen. 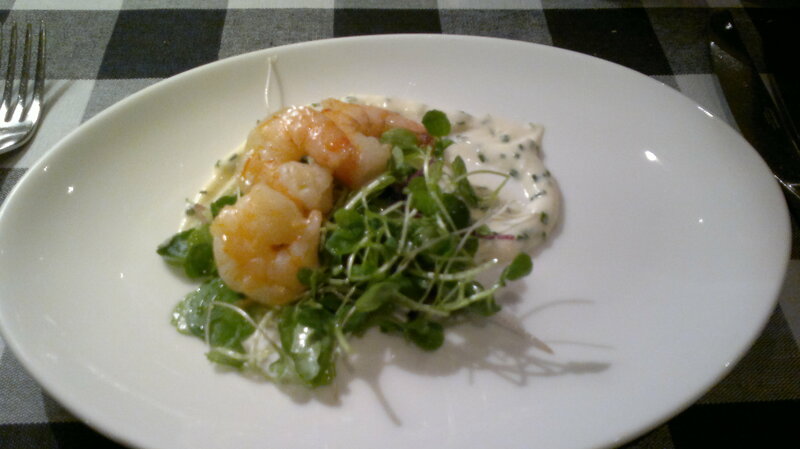 Shrimps were delicious but portion itself was quite small. 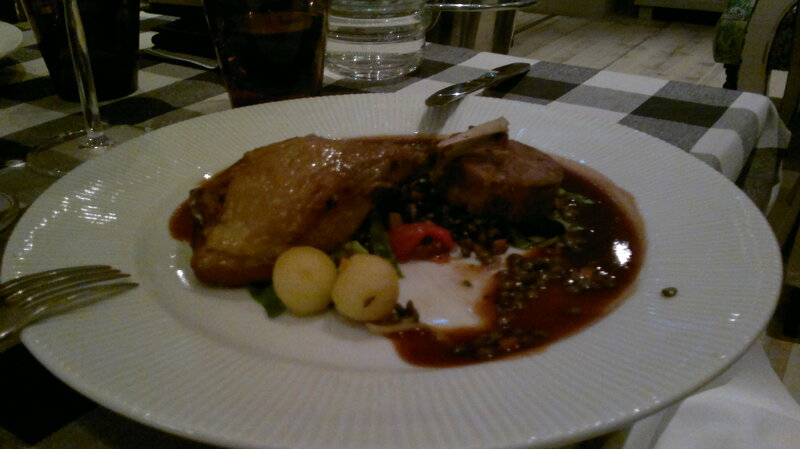 For main courses we ordered 1 x Duck with two ways and 3 x Lavaret with vegetables. Unfortunately duck is not anymore on the menu because is was delicios. 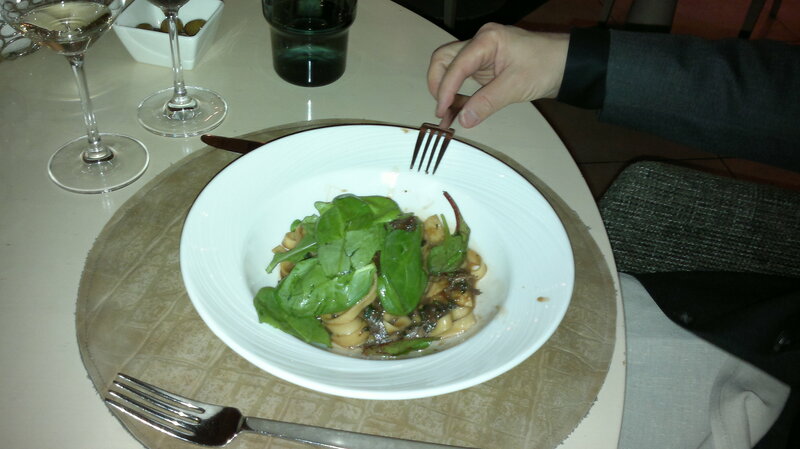 This was the second time eating same portion and again it was bulls’s eye. Duck drumstick and stew were so tender you would not have to bite. Lavaret was maybe a little bit too roasted. For dessert we had 1 x French toast; 1 x Oatmeal apple pie with ice cream; 1 x Sorbet; 1 x Surprise from the kitchen. 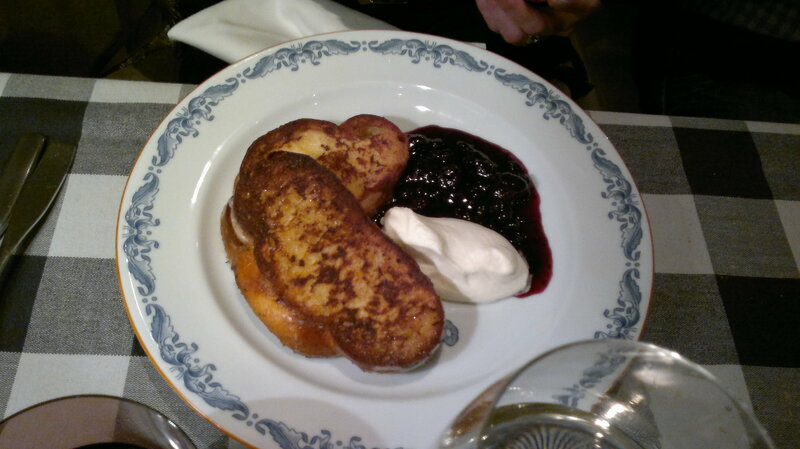 French toast does not literally describe the dessert. Exact translation is “poor knights” but that might not encourage to order if you are not familiar with this dessert. French toast as so generous that it would have enough for two. Worth a try! 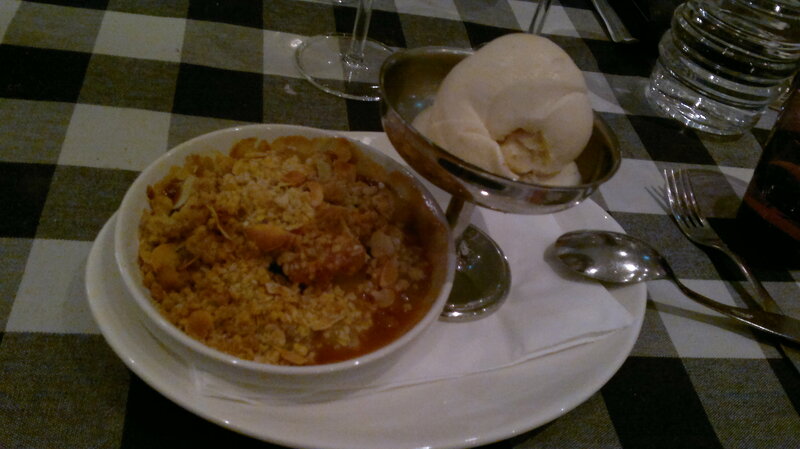 Apple pie was warm and tasty; ice cream completed enjoyment. 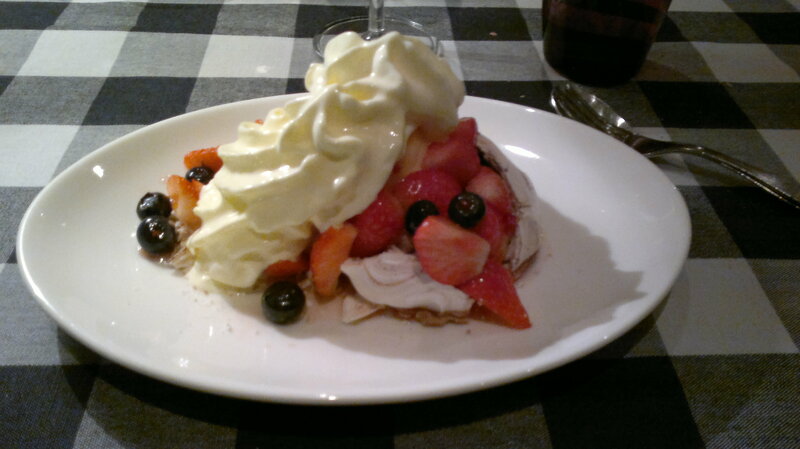 Suprise from the kitchen was close to Pavlova including fresh berries, meringue and something very tasty we could not identify. Dessert was warmly welcomed as it proved kitchens know-how to comply customers wishes. Our waitress did a great job but when her shift ended it was quite difficult to pay the restaurant bill. Menu changed just after we visited restaurant. Blue Peter, established in 1976, is situated on the island of Lauttasaari in Helsinki, in the Helsingfors Segelklubb HSK yacht club area. The complete renovation of the restaurant was finished by the beginning of 2007. Today, Blue Peter is more spacious than before, and it feels as if the sea has come closer to the premises. 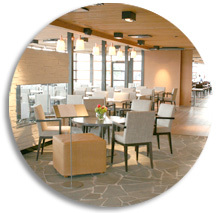 Vertti Kivi has designed the decor which makes Blue Peter one ot the most modern restaurants in Finland. You’ll find the popular terraces of Blue Peter a wonderful place to enjoy the sun and the sea atmosphere, only a short hop from the city centre. Sun shines almost the whole day to terrace as it is in three sides of the building. You can get with bus number 21v close to restaurant; only 400 meters to walk down by the sea. Regular visitors in the summer but now had dinner in the winter as Blue Peter is also open around the year. 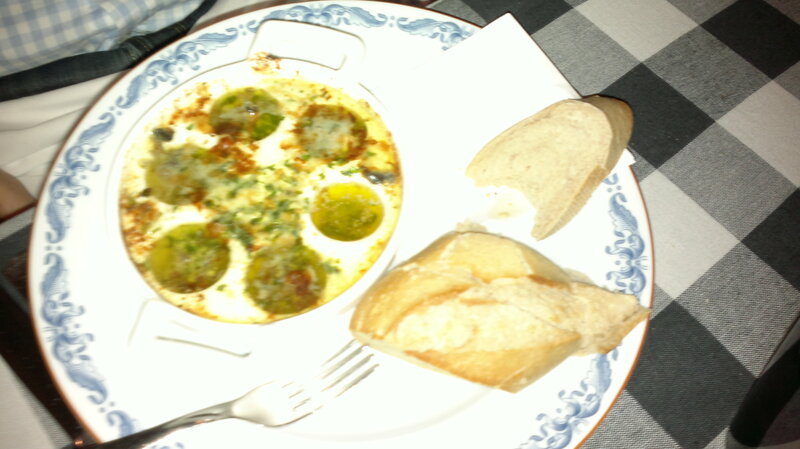 For starters we had Garlic snails 9.5 € and Toast Skagen 10.5 € in the pictures above. 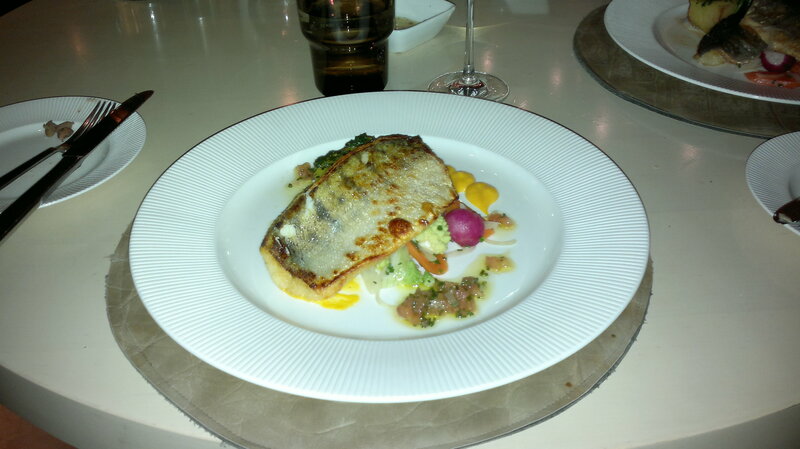 Both were excellent; enough garlic with snails and on top of toast skagen whitefish roe which made the portion more or less gourmet. 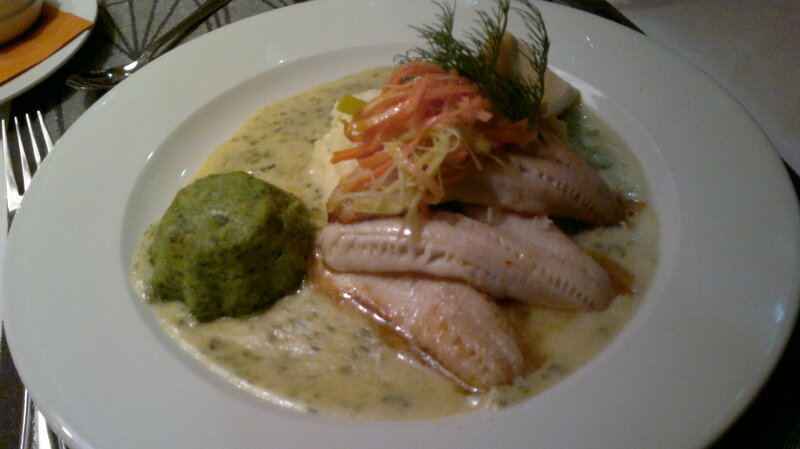 For main course we had Warm goat cheese salad 18 € and Fried perch with leek-butter sauce 24 € (in the picture). 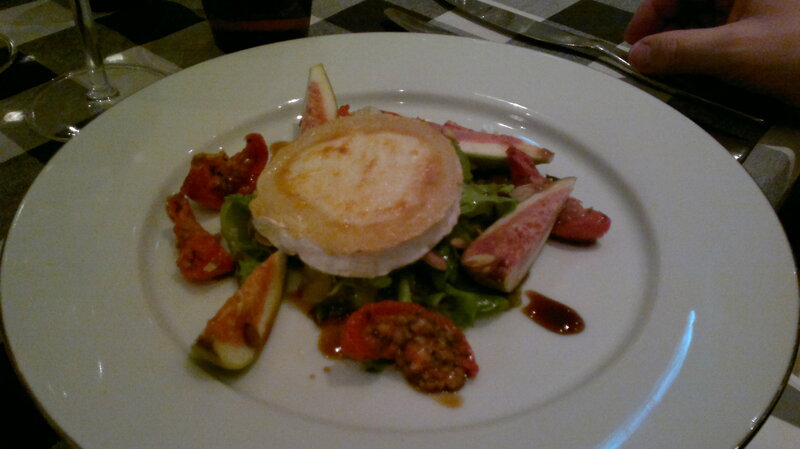 Salad was generous with two slices of grilled goat cheese. 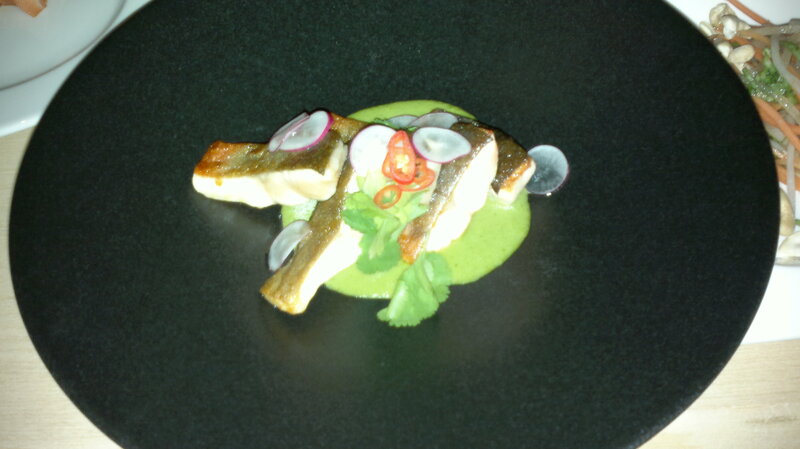 Fried perch was ok, but there was too much leek-butter sauce. 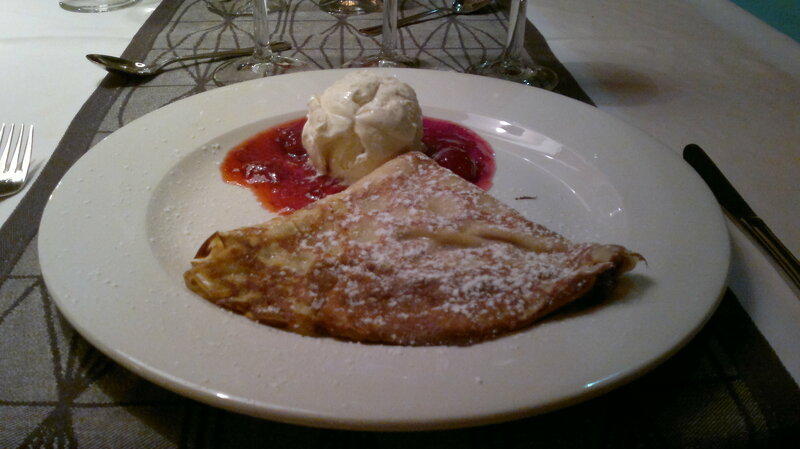 For dessert we had our all time favourite Crepe, old time vanilla ice cream and jam in the picture. If you have not ever tasted crepes taste it in Blue Peter. Wine list is enough wide for the food alternatives. Blue Peter is quite quiet in the winter if there are no private parties like weddings, but in the summer it is one of the most sophisticated restaurants with luxorious terrace. 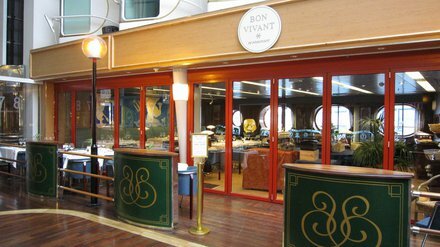 Bon Vivant is a fine dining restaurant at Tallink Silja cruise ships Symphony and Serenade on route between Helsinki and Stockholm. Menu changes occasionally and wine list is wide due to special wine bar and shop. Dinner included appetizers, main course and cheese plates. You also get greetings from the kitchen to start with. At Christmas cruise we had reindeer with potato crocket and fish in stock and vegetables. 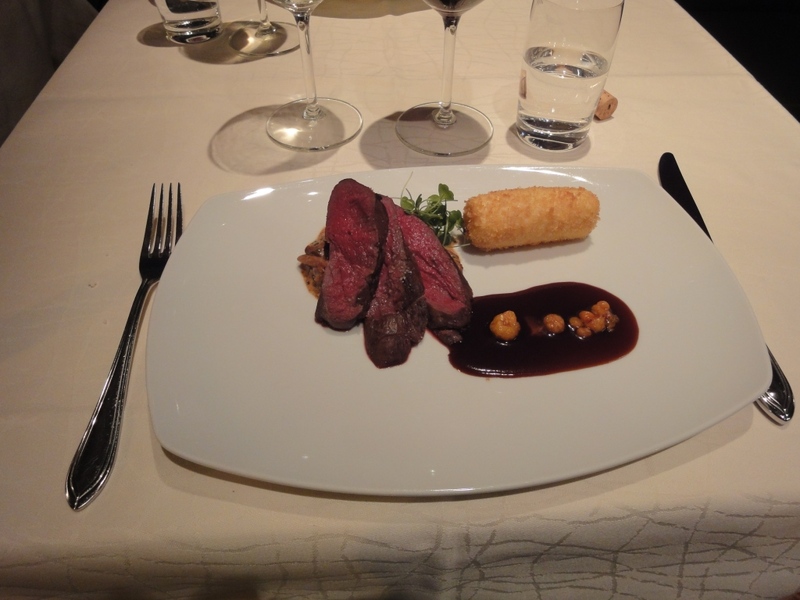 Reindeer was tender and rose as you can see in the picture. Fish portion was little bit difficult to eat because vegatables were too raw and soup around them splashed easily (no spoon available). If you take cheese as dessert you can choose them from trolley; 5 different choices. Blue cheese and white-veined cheese always as favourites. Waitress also wrote down all choices for us as we tasted all of them. Ship itself especially cabins need renovation. Those cruising between Helsinki and Tallinn are newer and therefore in good condition. 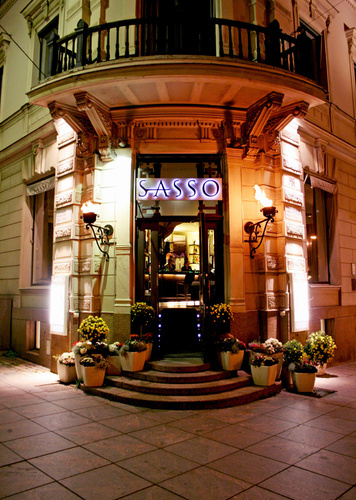 Visited Restaurant Sasso already in November 2011. 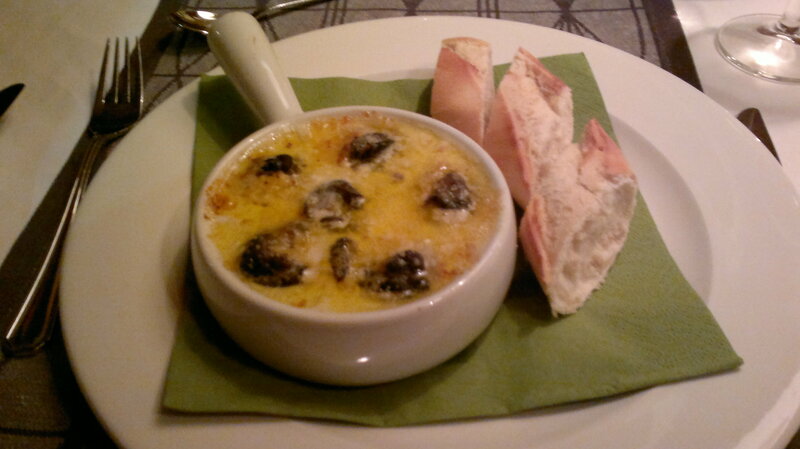 Used to be one of favourite Italian restaurants because of delicious food and cozy athmosphere. Some renewals should be made now due to a little bit worn interiors. 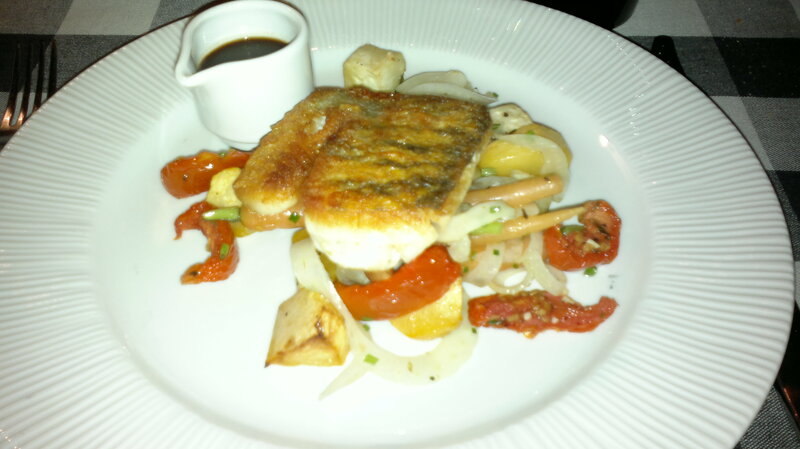 Downstairs you can find fish restaurant if you happen to prefer frutti di mare. 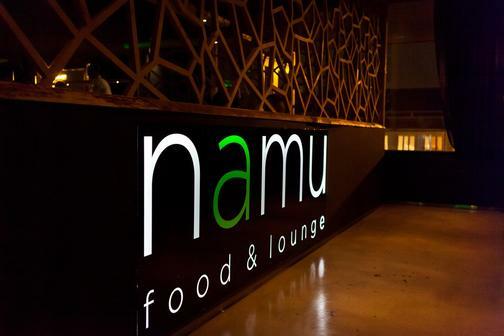 Visited Food and Lounge Restaurant Namu a month after opening. Early dinner, half of the tables occupied. Decoration quite unusual for restaurants having asian menu but maybe main idea is to provide opportunity eat while spending time at lounge type of night club. Huge place from which restaurant was about 1/5. Typical customer was around 25-30 years old. It is interesting to see if huge terrace which open ups to railway station will be busy in the summer. Menu was short consisting on Japanese, Korean and Chinese flavours. 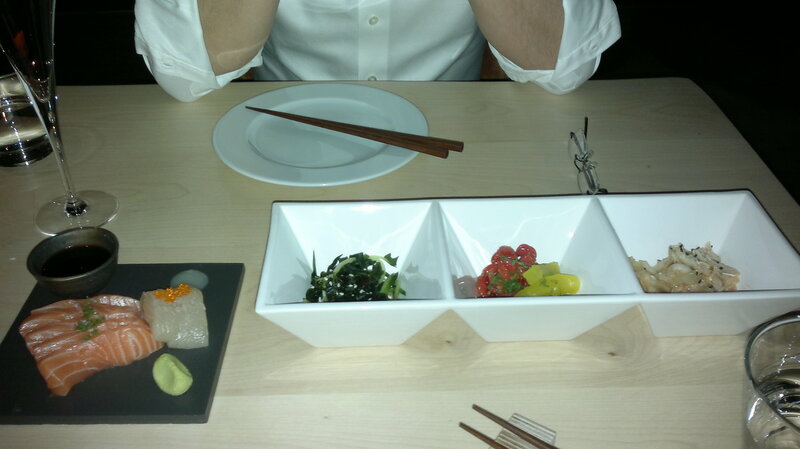 Interesting to see Kimchi was served in different modifications. Wine list was maybe too complicated for asian food. Had Sashimi and Tsukemono for appetizers which were really OK. Best part were main courses Kakuni to kimchi and Som tam nieriä ie trout; delicious and perfectly prepared! Kimchi with pork included kimchi which was like coleslaw salad but tasty. Pork was tender and also tasty. You have to choose side dishes for main course from 3 options. But unfortunately warm dishes came right after appetizers which is quite common way to serve asian food but as appetizers were quite big portions, had to eat warm dishes first. Price for appetizers, main courses and bottle of rose Cava was 108€.